MARICOPA – Dan Thelander, who grows alfalfa, wheat, cotton and other crops on 5,000 acres here, already has seen his irrigation district give up 20 percent of its Central Arizona Project water under an agreement Arizona negotiated to help support the level of Lake Mead. But with the Interior Department expected to declare a shortage on the Colorado River in the not-too-distant future, he and other central Arizona farmers face a tougher scenario: A shortage would trigger a first round of cuts to the state’s CAP allotment, and those cuts would fall in large part on agriculture. “It’s a big concern because this is something we can do very little to control,” Thelander said. The CAP aqueduct brings about 1.5 million acre-feet of Colorado River water per year to Pima, Pinal and Maricopa counties, and much of that is used for agriculture. 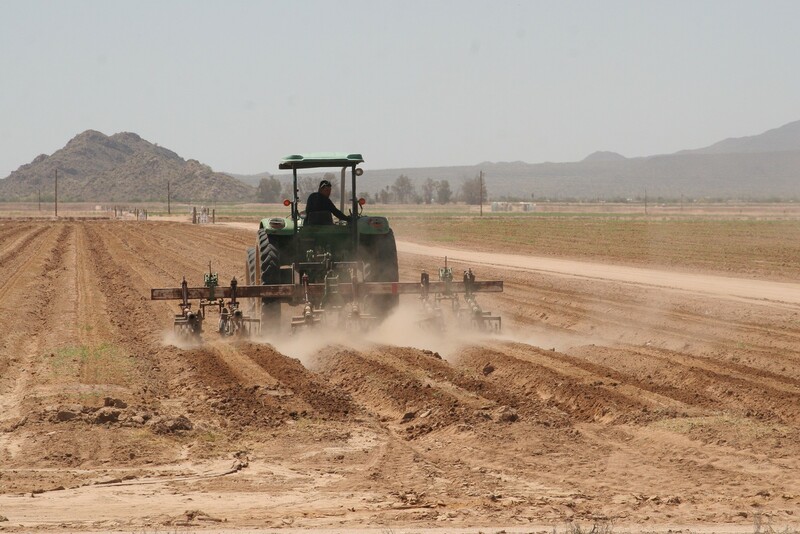 According to the Arizona Department of Water Resources, irrigated agriculture uses nearly 70 percent of available water. Brian Betcher, general manager of the Maricopa-Stanfield Irrigation & Drainage District, said farms he works with are looking at about a 60 percent reduction in CAP water. 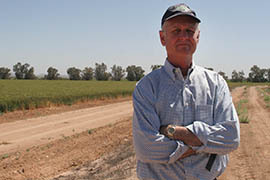 Though he expects farms to boost pumping groundwater to which they are entitled by 25 percent, Betcher said that in a shortage farmers would need to change their operations. “They have to live with less water or reduce cropping. That will be their challenge,” he said. Farmers have been preparing for potential water cuts for years by converting from flood irrigation to drip irrigation and sprinkler systems. Of Thelander’s 5,000 acres, 1,000 have been converted to a drip irrigation system that saves about an acre-foot of water per acre. Installing drip irrigation on the whole farm would cost about $10 million, something Thelander said is just too expensive. The U.S. Bureau of Reclamation forecasts a 21 percent chance of a shortage on the Colorado River in 2016. That would happen in August if the bureau projects that Lake Mead’s level will be below 1,075 feet by January. The chance of that happening in 2017 is forecast at 54 percent, said Rose Davis, a spokeswoman for the bureau. The CAP is offering financial incentives to encourage farmers to reduce their usage, said Chuck Cullom, the CAP’s Colorado River programs manager. The CAP reduces farmers’ payments for CAP water for every acre-foot that they cut back on water, which acts as a credit against their CAP bills. Joe Sigg, director of government relations for Arizona Farm Bureau, said farmers need to do two things to prepare for cutbacks: change their operations and crop mix, and reduce acreage. Changing from flood irrigation to drip systems and growing crops that are still profitable but less water-intensive are options, Sigg said. If farmers cannot change their operations, they will need to rely on pumping groundwater, he said. “It’s a good thing farmers have continued to use a lot less water,” he said. According to the Arizona Department of Water Resources, the state used 4.7 million acre-feet of water in 2013 versus 7.2 million acre-feet in 1957. Sigg said much of this is because of conservation measures like drip irrigation systems. “It’s going to be a very painful cut back when we start losing our water, but we’ll do what we can to survive and that’s all you can do,” he said. Dan Thelander, who grows alfalfa, wheat, cotton and other crops on 5,000 acres in Maricopa, is wary of a looming shortage on the Colorado River that would cut deliveries to central Arizona agriculture. But he says the state’s farmers are used to doing more with less water because they’re in a desert. 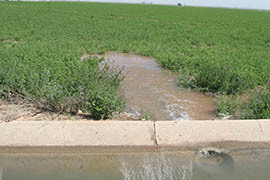 While flood irrigation, being used in this Maricopa alfalfa field, is prevalent in Arizona agriculture, many have been shifting fields to more efficient systems including sprinklers and drip irrigation. A tractor plows a field in Maricopa.